Air passengers from the South West using London airports instead of flying from Bristol are creating carbon emissions equivalent to more than 15m gallons of petrol, a new survey shows. The research, commissioned by Bristol Airport, shows last year that road journeys to airports such as Heathrow and Gatwick from the South West and South Wales generated an estimated 157,000 tonnes of carbon – up from around 140,000 tonnes the previous year. According to air transport consultancy York Aviation, which carried out the survey, this is similar to the amount of carbon generated by charging 17.7bn smartphones or powering a 42-inch LCD TV for more than 94,000 years. The research builds on previous work for Bristol Airport highlighting the time and cost savings for passengers by flying from within their home region instead of heading along the M4 to London airports. The latest survey takes the ‘green’ route by looking at the impact on the environment. Latest figures show that 7.8m journeys a year are made by passengers from the South West and South Wales travelling to and from London airports. Aside from the environmental damage, this results in total time lost of more than 500m minutes and an additional travel cost per passenger of more than £50. Heathrow attracts the most ‘leaked’ passengers from the South West and South Wales – 43% – followed by Gatwick (31%), with the rest making even longer journeys to Stansted and Luton. Short-haul flights account for more passenger journeys and greater additional carbon costs than long-haul, according to the research – suggesting higher frequency and more convenient flight times could be a factor in the choice of departure airport. The potential carbon savings which could be made if these passengers used Bristol is equal to the domestic carbon emissions of nearly half the population of North Somerset, where the airport is based, the report shows. Bristol Airport has made better serving passengers within its catchment area a key objective in its proposals to increase capacity to 12m passengers a year by 2026. More than 9m passengers are expected to use the airport this year – closing in on the current cap of 10m passengers a year under the current planning permission. Bristol Airport chief executive officer Dave Lees said: “Technology is driving performance improvements in the sky, with new aircraft like the Airbus A320neo generating 15% fewer carbon emissions than its predecessor. 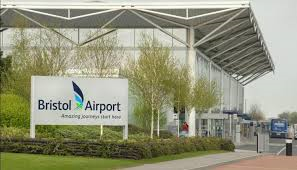 Last December Bristol Airport submitted a planning application to North Somerset Council to increase capacity to up to 12m passengers a year by the mid-2020s. The proposed development includes new infrastructure, improvements to existing terminal and road facilities, and operational changes to ensure the airport can continue to meet demand for air travel to and from the South West well into the next decade.